An attractive, reddish-black fruit with a somewhat flattened heart shape, Santina cherries are firm and moderately sweet. Santina cherry trees display a spreading, slightly drooping nature that makes them especially attractive in the garden. 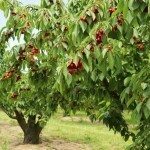 These cherry trees are valued not only for their flavor, but for their high productivity, crack resistance and long harvest window. Growing Santina cherries is relatively easy if you live in USDA plant hardiness zones 5 through 7. Read on to learn how. Santina cherry trees, the result of a cross between Summit and Stella, were bred at Pacific Ari-Food Research Station in Summerland British Columbia in 1973. Santina cherries are multi-purpose and can be eaten fresh off the tree, cooked, or preserved by drying or freezing. 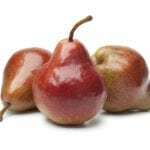 They are delicious incorporated into hot or cold dishes. Santina cherries paired with smoked meat and cheese is a delightful treat. Santina cherries are self-fertile, but harvests will be more plentiful and the cherries will be plumper if there is another sweet cherry tree in the vicinity. Prepare the soil before planting by digging in a generous amount of organic material such as manure, shredded leaves or compost. You can do this any time the ground isn’t frozen or saturated. As a general rule, cherry trees need no fertilizer until they begin bearing fruit. At that point, fertilize Santina cherries in early spring. You can also feed the cherry trees later in the season, but never after July. It’s a good idea to have your soil tested before fertilizing. However, in general, cherry trees benefit from a low-nitrogen fertilizer with an NPK ratio such as 10-15-15. Santina cherries are light feeders, so be careful not to over-fertilize. Cherry trees don’t require a lot of water, and unless you live in a dry climate, normal rainfall is usually adequate. If conditions are dry, water deeply every 10 days or so. 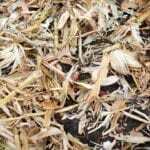 Mulch the trees generously to prevent moisture evaporation and keep weeds in check. Mulch also moderates soil temperature, thus preventing temperature fluctuations that can cause cherry split. Prune Santina cherry trees in late winter. Remove dead or damaged branches, as well as those that rub or cross other branches. Thin the middle of the tree to improve access to air and light. Remove suckers as they appear by pulling them straight out of the ground. Otherwise, like weeds, suckers rob the tree of moisture and nutrients. Watch for pests and treat them as soon as you notice them.